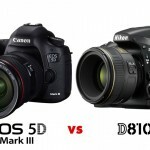 Canon Rebel T5i vs Nikon D5200 Comparison - Which One is Worth To Buy? Home / Digital Camera Comparison / Canon Rebel T5i vs Nikon D5200 Comparison – Which One is Worth To Buy? 2012 has been one of the years with most action in the semi-pro SLRs, with various Nikon launchings and a couple of important presentations from Canon. As expected, the market for photography enthusiasts and amateur fans of photography is the most active one, since the cameras sold to this segment are the ones that offer a good quality-price relationship. Last month, Canon rebel t5i reach the market, begin marking a slightly higher than basic level in regard to equipment performance, at the same time, the Nikon D5200 is another good choice. The choice of which of these two camera to buy is very hard and there are many factors that come into this aspect and maybe the most important one is whether or not one already has a camera from one of these brands. Next, we’ll bring you some more information about the good, the bad and the ugly of these new members of the digital world. This year came with many new models and many megapixels, and the Nikon D5200 model is one which stood out in this field with a 24 MP sensor (APS-C). Meanwhile, the Canon rebel t5i model opted for a shier sensor, bringing us 18 MP in a sensor with the same size. However, an important factor to keep in mind is that the Nikon’s 24MP sensor offers the user an amount of pixels with which to fiddle with the pictures, to cut them and still have a high amount of megapixels, which will be very useful for many. On the other hand, the slightly negative aspect is that upon increasing the amount of megapixels, so increases the risk of noise in images. They both offer 3-inch screens, but Canon has the advantage in this field upon including a 1040k-dot resolution, compared to Nikon D5200’s 921k-dots. One more thing to Canon Rebel T5i‘s favor is that it comes with a touch screen in a DSRL camera (this will please many of the brand’s customers). The Nikon D5200 is the sure winner in this field, since it offers a 39-point focus system, compared to Canon Rebel T5i’s scarce 9 points. Canon integrates a system called “hybrid autofocus system” while the Nikon D5200 model keeps the old contrast detection focusing. This topic can be many points of viewpoints, are those that give priority to the dimensions and prefer a camera that feels good in your hands with an average weight and rugged construction for a more striking appearance. Both models comes with a kit lens 18-55mm very similar and to be honest are very similar, both are made of rigid plastic and are basically the same as its predecessor the Nikon D5100 and Canon Rebel T3i. The Nikon D5200 is available in 3 colors (black, red and bronze) while the Canon Rebel T5i in black only. In many aspects, these two interesting cameras offer similar features, in Price and in technicalities, and this decision is up to each one of us, and above all we have to feel it in our hands to have a tangible appreciation for one over the other. If you want a camera with a lot of megapixels that will bring you extremely high resolution and tons of automatic focus points, then the Nikon D5200 model is a clear winner. However, if you’re attracted by a touch screen and a hybrid autofocus system, then Canon Rebel T5i is your choice. But we say this again: a decision like this is based on many factors that each one considers to be of more or less importance. What we can guarantee is that you’ll obtain a well-thought product with either one, and you likely won’t regret your choice. I have been using D5200 for the las two years and it did so well that, inspite of having some other DSLRs I can not but take D5200 with me when going out in photographic expeditions. People seem to put to much importance on the Canon Auto-Focus feature being in the camera body rather than the Nikon Auto-Focus being in the individual lenses, . Really? How many lenses do you intend to buy and carry with you? If the auto-focus motor goes out I’d rather replace a lense than the entire camera body. The Nikon D5200 has so many more usable features for the novice it’s a no brainer (if your a professional you probably wouldn’t be looking at either one). The Nikon D5200 2 lense kit with 18-55 and 55-200 is the less expensive better choice.